I posted earlier this week a free template that I made that helps you make a Pua and Hei Hei from the Disney movie Moana. Here’s the link to that post in case you missed it. You can definitely see it’s Hei Hei! I now realize that it would have better to place the clear pegboard in the other direction, so I would have more space for the crest, but at this point, I’m not re-starting this project. I’ve been using the lid of the Perler jar to hold the pegs as I sort through them. That has worked out well. I guess you could use a bowl or paper plate, too. 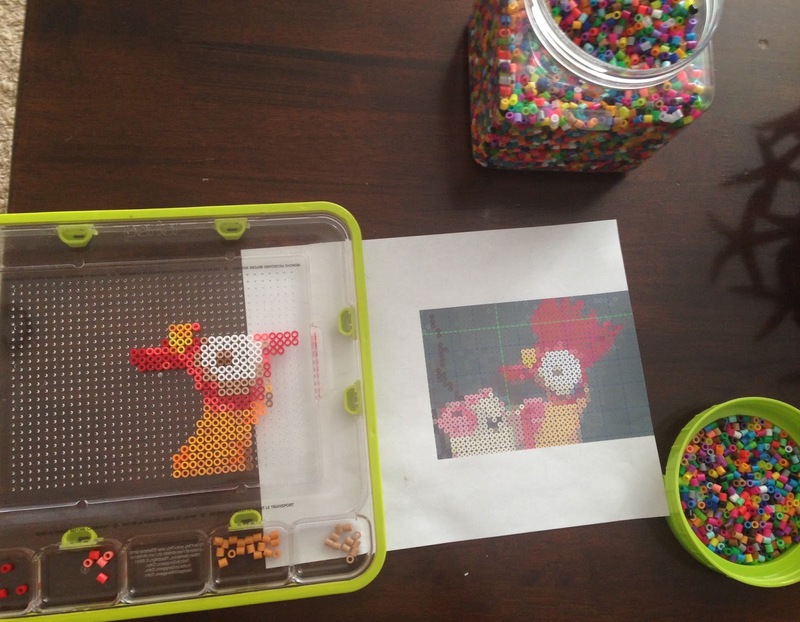 I’m liking the jar of Perler beads that I chose. It has a good array of colors and shades. There were so many options at the time I purchased it, that I wasn’t sure if I would have all the colors I needed or enough of the ones I needed, but so far, it’s been working out.